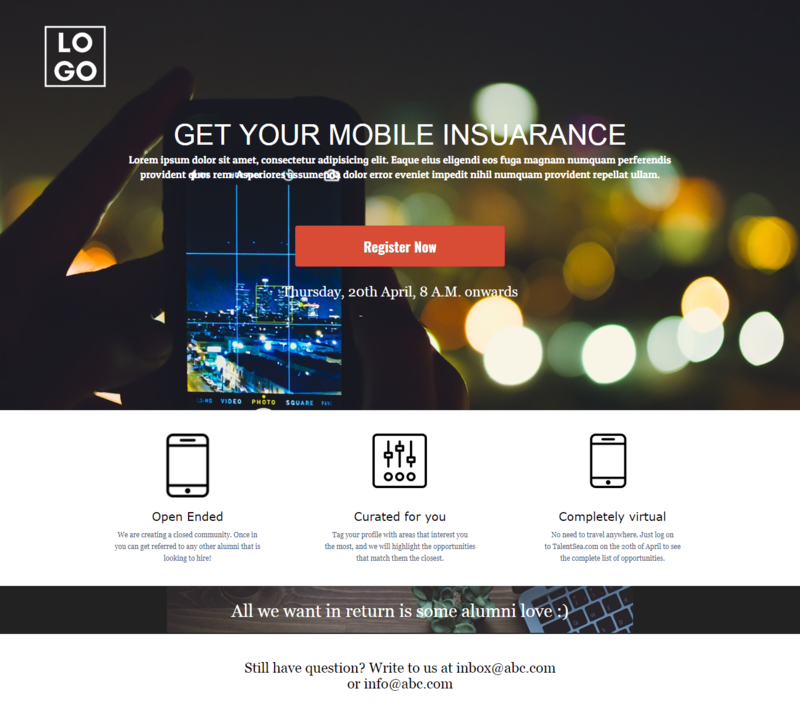 Mobile Insurance landing page template for different purposes. Use as your need. Insurance players are numerous in the market and to get the best deal out of them, you need a captivating landing page that gains your customer's attention. The Insurance category provides multiple stunning landing pages that help showcase your products, generate leads and lets prospects contact you or your business. Multiple templates spanning through listing images, special offers, sign up forms and many more.